The Donald has succeeded in becoming one of the world’s most recognizable business executives – and one of the most derided. Trump’s critics contend that he is all bombast, and that his antics obscure that he merely inherited a business empire from his father, real estate magnate Fred Trump. It’s hard to know the truth about Trump’s business success. Trump has not exactly disclosed financial information as required by political candidates. Instead he has bragged about and exaggerated his wealth. When Trump filed paperwork that stated his net worth at “TEN BILLION DOLLARS,” the press accused him of inflating his net worth by many billions of dollars. At Instavest, we bring stock market investors together so they can make, share and follow real investments. While we love great returns, we value transparency and accountability above all. 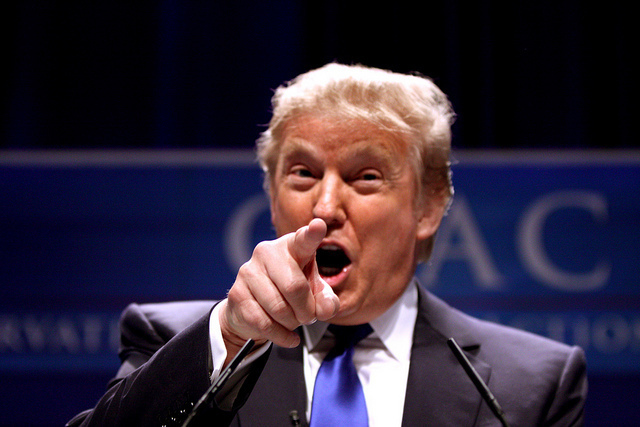 And so with Mr Trump in the news, we analyzed him the best way we know how – like a stock. If Trump was a stock, would he be a good investment? To answer this question, we went in search of data. Looking at Trump’s individual business decisions is difficult. He’s involved in real estate all over the world, and he makes money from beauty pageants, reality television, the Central Park carousel in New York, Trump-branded steaks, vodka and board games. Much of his business empire is also private, which means information other than Trump’s boasts is not available. We ultimately decided to look at how Trump’s net worth has changed over time, as measured by the Forbes World’s Billionaire List. Measuring billionaires’ wealth is a tricky business. If Facebook’s stock dropped 25% tomorrow, so would Mark Zuckerberg’s net worth. The value of many of Donald Trump’s real estate holdings is even more unpredictable. This is why Forbes and Bloomberg, which produces a rival billionaires list, disagree on Donald Trump’s wealth by over $1 billion (Although both agree that Trump overstated his net worth by more than 100%). Still, Forbes has decades of experience at estimating the net worth of the .001%. So how would an investor in Donald Trump Inc have fared? If an investor’s money could have increased or decreased in value with Trump’s net worth, would she have done well? The above chart shows that $100 invested in Donald Trump in 2000 would increase in value to $273.33 in 2015. This is not a super scientific comparison – Donald Trump’s net worth is not a company’s stock or an investment portfolio. It faces different risks, like Trump getting re-married and divorced without a prenuptial agreement (so far litigiously avoided). And the Donald stock does not include dividends, so we didn’t include in the analysis either. But the analysis does show that Trump’s fortune has increased faster than the American stock market, proxied here by the S&P 500. And while Trump’s business acumen hasn’t equaled Warren Buffett’s management of Berkshire Hathaway, he has done as well as hedge funds, the high-flying investment class of choice until recently. As an investment, The Donald doesn’t seem like a bad choice. There is a very important asterisk to the above analysis, and that is the question of risk. The risk-reward tradeoff is a basic element of finance. Safe assets like government bonds have very low payoffs; risky investments like technology startups should have big payoffs to offset the fact that startups will likely lose your money. Donald Trump outperformed the market, but he is a much more risky investment. His primary business – real estate – is a volatile industry. In the early 1990s, Trump’s entire business nearly folded. Even with his wealthy father chipping in, Trump had to sell prime real estate and his private jet to cover loan payments and Forbes estimated his net worth at negative $900 million. Trump was saved, and able to rebuild his business, thanks to extraordinary negotiations with the banks that owned his loans. So Trump has done better than the S&P 500, but the S&P 500 represents a conservative strategy of investing broadly in the stock market. When the AP analyzed Trump’s wealth since 1987, a period that included Trump’s near bankruptcy, and accounted for dividends, it concluded that Trump actually underperformed the stock market. Since his near-bankruptcy, however, Trump appears to have become more risk averse. Trump no longer takes on massive debt; instead,Trump lends his name to various building projects (for a fee), where he often does not risk much of his own capital for projects. 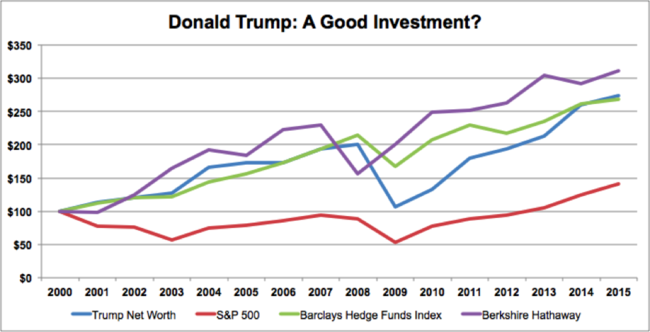 Given that The Donald likes to call himself a winner and “the best,” he might not be thrilled that his returns are on par with an average hedge fund, as shown above by the Barclays Hedge Fund Index. Yet if his strategy is much less risky, his returns are impressive. Trump’s reliance on his brand for making money and getting involved in real estate deals, however, leave him vulnerable to an unusual risk: the risk of the majority of the country (or world) hating him. One thing I’ve learned about the press is that they’re always hungry for a good story, and the more sensational the better…The point is that if you are a little different, or a little outrageous, or if you do things that are bold or controversial, the press is going to write about you. Sometimes they write positively, and sometimes they write negatively. But from a pure business point of view, the benefits of being written about have far outweighed the drawbacks. Perhaps more than anyone alive, Trump has lived by the maxim “Any press is good press.” His history of racist, sexist and generally reprehensible comments goes back decades and he continued to make money by slapping his name on products. So far, his gamble that making controversial and insulting comments in public will improve the value of his brand has paid off. But that is a hell of a gamble. In the past two months, the broadcaster of Miss USA – a Trump production – discontinued its coverage of the pageant after Trump referred to Mexican immigrants as rapists. 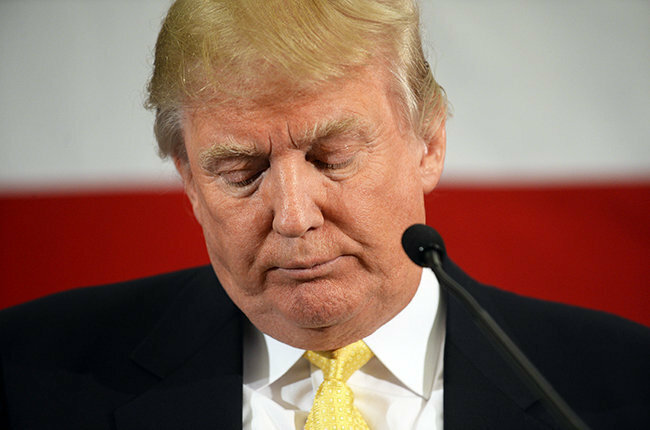 Macy’s, Serta and NBC Universal have all dropped Trump products (and his show The Apprentice) due to his insulting comments. The performance of Trump’s business may rest on a single question: Could this finally be the year that Trump becomes a toxic asset? It’s not actually possible to invest in Donald Trump. But if investors could, Instavest recommends that they dump the Trump stock. Sorry, Donald – you’re fired. For more great investment ideas, use promo code TRUMP and get $50 to sign up and replicate the world’s best investments on Instavest.